Outsourcing the day-to-day operations of your sports betting business to one of the three price per head providers, in the RDG Corp family. This will leave you with more time and money to invest in growing your business and increasing your profits. RDG Corp provides a safe and secure price per head services for agents and bookmakers to run their offshore bookmaking businesses and has grown to become a leading provider of pay per head services. Any size bookie can use price per head services offered by RDG Corp. This includes established bookies, sports betting agents and professional credit bookmakers. Gambling on sports is not always easy, in fact it can be downright difficult. It’s fun and exciting but handicapping the games takes a mountain of time and who has that kind of time? Billions of dollars are spent every single year in pursuit of one thing; beating the bookie. The bookie is the target and it seems that the rich get richer. The say “the house always wins” now we know that can’t be true but some nights it sure seems difficult for the gambler to win. The other piece of evidence that points to the bookies success, where are they going? If they were getting beat every night it seems they would go broke and bookies everywhere would be closing their business. This is nowhere near the case. Bookies are thriving and there is one answer, gamblers still gamble. When you are looking at the different Pay Per Head operators that are offered by RDG Corp, it’s important to know what sites are really going to offer you a great quality and an excellent all around product. One company that definitely catches my attention for a strong Pay Per Head operator has to be a1pph. There are quite a few benefits to this site, and below we are going to give an in-depth look at the site as a whole. 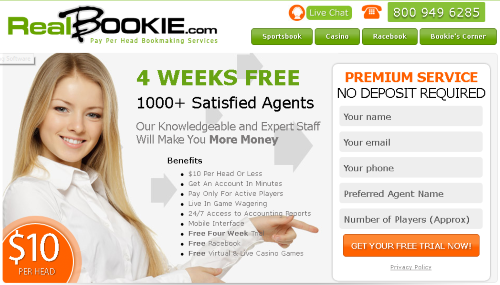 RealBookies.com is a pay-per-head service that offers local bookies an all-in-one solution for operating their business. 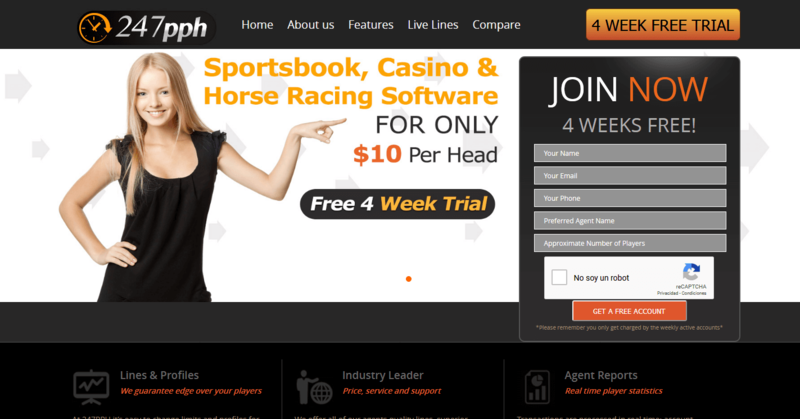 If you’re a bookie or you’re planning on becoming a bookie you need to use a pay-per-head service to keep your clients. The days of being able to book your clients bets using your mobile phone are now over. Real Bookie provides bookies with a cost effective way to offer their clients the best possible betting experience. It matters not if times are hard, the economy, forget about it! Who cares if the economy is bad, good or indifferent? Sports gamblers will always find a way to gamble. They look for the best lines and odds and they shop around to do it. Most sports bettors have at least three online bookies and some have even several more. Nobody is slowing down here. The sports gaming industry is booming and growing every single day. The bookies need your help, they want more players on the open market, why not? The industry is the opposite of how we described it. The economy is very stable and the sportsbook and players alike are both doing well? You too can get in on the action and it matters not if you have a couple of players or if you have 1500 players. FAQ’s: What are the advantages of starting a pay per head business and is it expensive? Absolutely not, it is not expensive and the best thing, people work for you. This may all sound too good to be true and you are asking what is the catch? If you are running and operating any kind of PPH bookie service then you should absolutely think of converting your player’s to a RDG Corp PPH solution. What this will do for you is open an online casino, a great racebook and of course a sportsbook. The beauty of a PPH is knowing that you will always be taken care of.  ► You are your own boss and you will rarely interact with your client. We know that running a bookie service is hard work, having a pay per head makes life easy for you and your client. ► Cost effective, the better pay per head companies usually charge around $10 per head per week. ► You have a turnkey ready sportsbook built for you that included a racebook and full casino with all of today favorite casino games. ► State of the art bookie software that includes a top notch wagering platform that is user friendly for you and the client. ► Top notch customer service that includes a toll free hot line accessible for you and the client. ► A full menu of sporting events and all inclusive wagering menu. ► Bet slip grading. All bets are graded in the system, this is completely non touch by you the bookie. ► Up time, your sportsbook is guaranteed 99% uptime. Your clients can depend on you and what you offer them at all times. These are a few of the many great benefits offered by RDG Corp price per head solutions . You have nothing to lose by trying it out and seeing for yourself how this service can revolutionize your business and profits. Most services offer a free trial so check it out and start making big profits.